Home » ink » ink trivia » paper » writing » Ink Trivia : How many years ago was the first successful recipe for writing ink created? 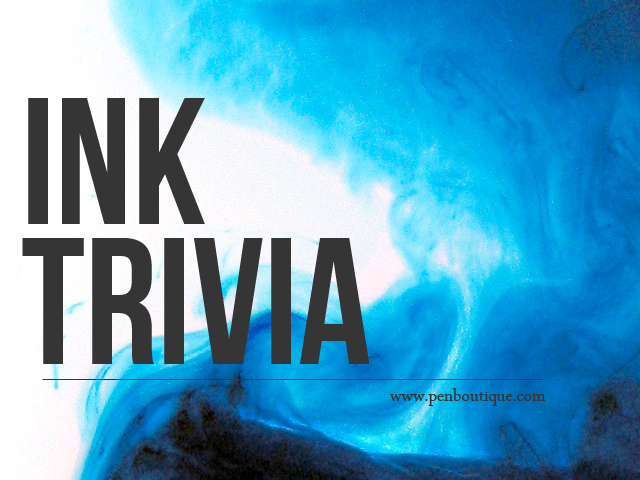 Ink Trivia : How many years ago was the first successful recipe for writing ink created? For years people had been carving into clay, stone, or wood to write a record of their life and experiences. But when ink and paper came, it revolutionized writing for all time. They are still in use today. Thus, it’s interesting to know who invented ink. Egyptians are often deemed the first users of ink. And that an Egyptian was who invented ink. This is because of the common notion that paper was invented by an Egyptian. True, papyrus was in wide use in Egypt for writing in early times. But they used stylus to carve figures on papyrus instead of black ink. Stylus is a pointed thin rod. Ink was first applied using a brush made of bird’s feather. With this invention, the ink inventor simplified writing and made it so convenient. By 1200 B.C. this black liquid writing implement became popular and other people developed it further by mixing natural dyes. Some applied different colors they took from minerals and plants like berries. This was all made possible because of the breakthrough provided by the man who invented ink. Q. How many years ago was the first successful recipe for writing ink created? Answer: About 1,600 years ago, a popular ink recipe was created. The recipe was used for centuries. Iron salts, such as ferrous sulfate (made by treating iron with sulfuric acid), were mixed with tannin from gallnuts (they grow on trees) and a thickener. When first put to paper, this ink is bluish-black. Over time it fades to a dull brown.